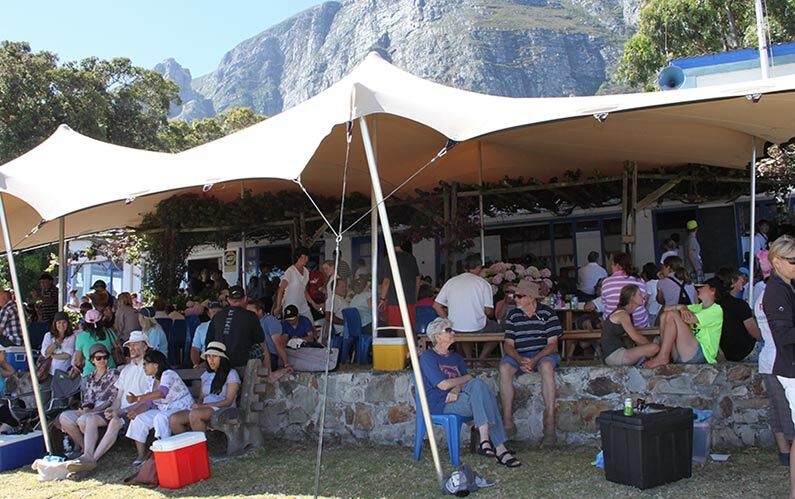 A superb location and a family-orientated social life shapes the spirit and culture of the Hermanus Yacht Club. Founded in 1951, this members-only club is situated on the banks of the saltwater Kleinrivier lagoon. 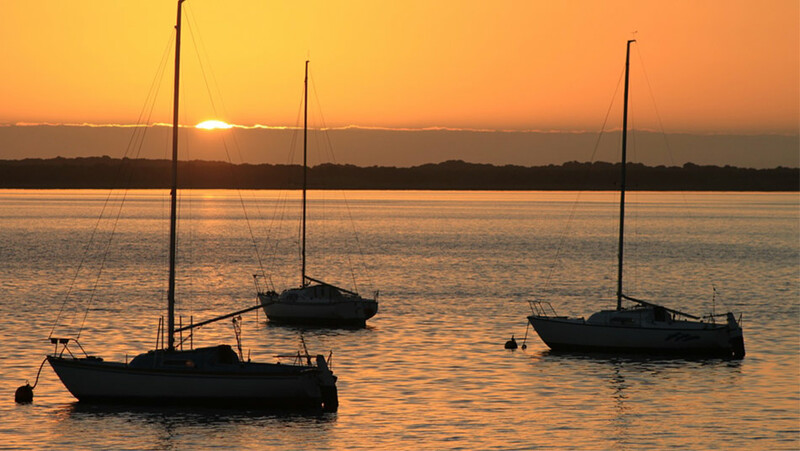 This natural body of water provides safe sailing for children and variable wind conditions that can raise the heart-rate of even the most experienced sailor. During the summer season, members take part in fun or competition sailing almost every weekend and several regattas are held every year. The club has a large fleet of sailing boats all owned by members, secure boat parking and a slipway. 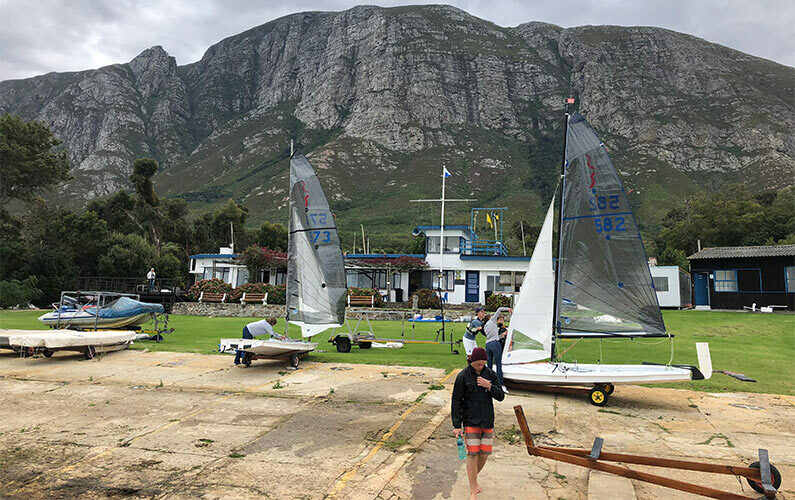 When not on the water, our members can relax in the clubhouse or overnight at one of our many campsites, caravans or wooden cabins, making the Hermanus Yacht Club the perfect weekend getaway and summer holiday spot. 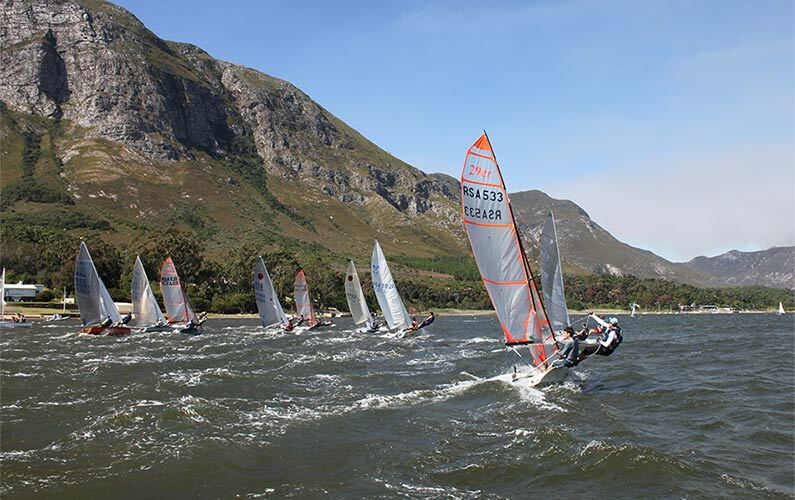 Although the club aims to promote sailing, we encourage all non-motorised water sports including windsurfing, kiteboarding, paddling and rowing. The Hermanus Yacht Club on the Kleinrivier lagoon in the lee of the Overberg Mountains, is situated half way between Hermanus and Stanford. The members are all active – taking part in fun or competition sailing almost every weekend during the summer season which starts in September. Several regattas are held every year. 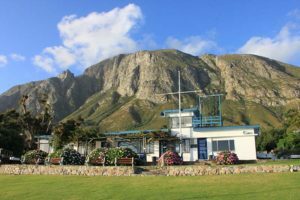 Hermanus Yacht Club’s green lawns reach right down to the water’s edge. The salt water lagoon provides safe sailing for children and variable wind conditions make for exciting sailing for even the most experienced sailors.